He’s got Lochte&apos;s back! 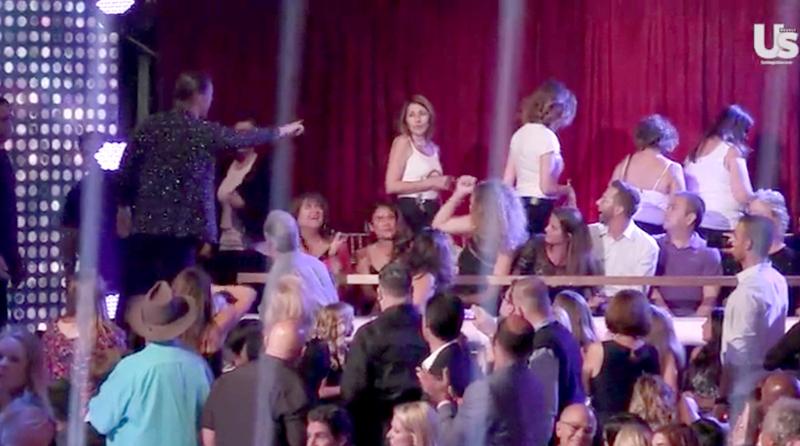 Derek Hough came to Ryan Lochte’s aid after several audience members started protesting the Olympic swimmer during the Dancing With the Stars premiere on Monday, September 12. The athlete, 32, made his dance floor debut with pro partner Cheryl Burke and proved his hips don’t lie, but all that was overshadowed by several audience members wearing anti-Lochte T-shirts to criticize his Rio robbery controversy. Derek Hough yells at the Ryan Lochte protesters to ‘get out of here’ in an unaired behind-the-scenes clip. That wasn’t the only drama Lochte faced. Two men, who were also wearing anti-Lochte T-shirts, interrupted the judges’ reviews of Lochte and Burke’s fox-trot and bum-rushed the stage. One of the men was tackled by security while the other was escorted off stage. The suspects were later identified as L.A. residents Sam Sotoodeh, 48, and Barzeen Soroudi, 40, according to ABC News. Lochte opened up to Entertainment Tonight and said his dance partner helped him move past the shocking incident. “Honestly, it felt like someone just reached inside, took my heart out and tore it to shreds. I was really hurt when I saw that, and I was in shock. But I looked at Cheryl, and she just smiled and said, ‘You just did what you said you can’t do. 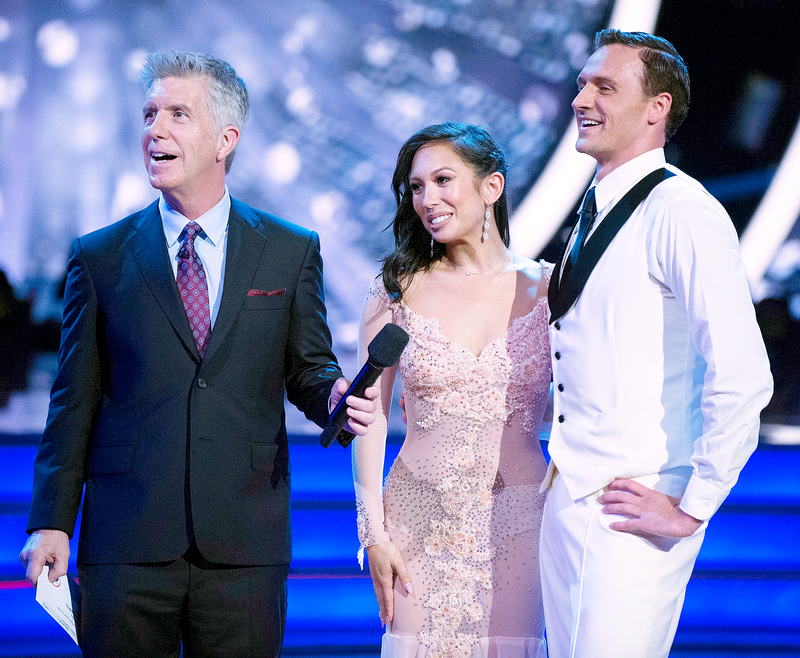 You danced in front of millions.’ And I was like, ‘You’re right.’"